I’m in the middle of Man Overboard by Monica Dickens and, rather to my surprise, enjoying it. I have very mixed feelings about Dickens. Some of her books I’ve loved (Mariana, The Happy Prisoner) while others I have considered a complete waste of paper and reading time (The Winds of Heaven and, to some extent, One Pair of Hands). These experiences have been enough to scare me off reading her other books for fear of what I should find. But it hasn’t stopped me from accumulating her books. Just this year I’ve picked up lovely hard cover editions of Man Overboard and The Heart of London. And now, with a courageous leap, I’m even reading one of them! Man Overboard is the story of Ben Francis, a widowed naval officer of no particular distinction who finds himself released from the Navy with no particular aptitude or interest for any line of work. I’m only half-way through right now but have been impressed by Dickens’ effortless handling of the male point of view (something that she did brilliantly in The Happy Prisoner, too) and her fantastic minor characters. Chief among these is Amy, Ben’s ten year old daughter, whose ever-changing personality is tiresome for her father but entertaining for this reader at least. Amy, who was never the same child for more than few weeks at a time, was having one of her old-fashioned periods, when she called Ben Father, and was rather stiff and formal with him. Since it made her more docile too, in a beaten down Victorian sort of way, it was one of her easiest disguises to cope with; but it made her rather dull, and the lunch, which was a celebration of her tenth birthday, was not being very gay. Amy came noisily into the room in a thick blue school overcoat with the collar turned up. She had been playing in a hockey match. She was in the fourth eleven, and she was very sporting at the moment, because she was in love with a girl called Fiona Maclaren, who was captain of the first eleven. She wore her long bronze hair in tight pigtails and affected a slightly rolling walk. She had been keyed up to play the part of the tight-lipped hero’s daughter, or the fisherman’s child, waiting at the cottage window with her eyes glued on the storm-tossed sea. In all these reincarnations, she feels more like a real child than the last hundred or so I’ve encountered in any book. I’m looking forward to reading on and seeing how many more personalities she assumes before we reach the end. 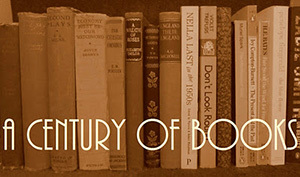 The only book i love by Monica Dickens is THE ANGEL IN THE CORNER.The rest are ok/over rated. I tried The Angel in the Corner a few years ago but it did not appeal at all. To each their own! I was terribly disappointed with One Pair of Hands, too! 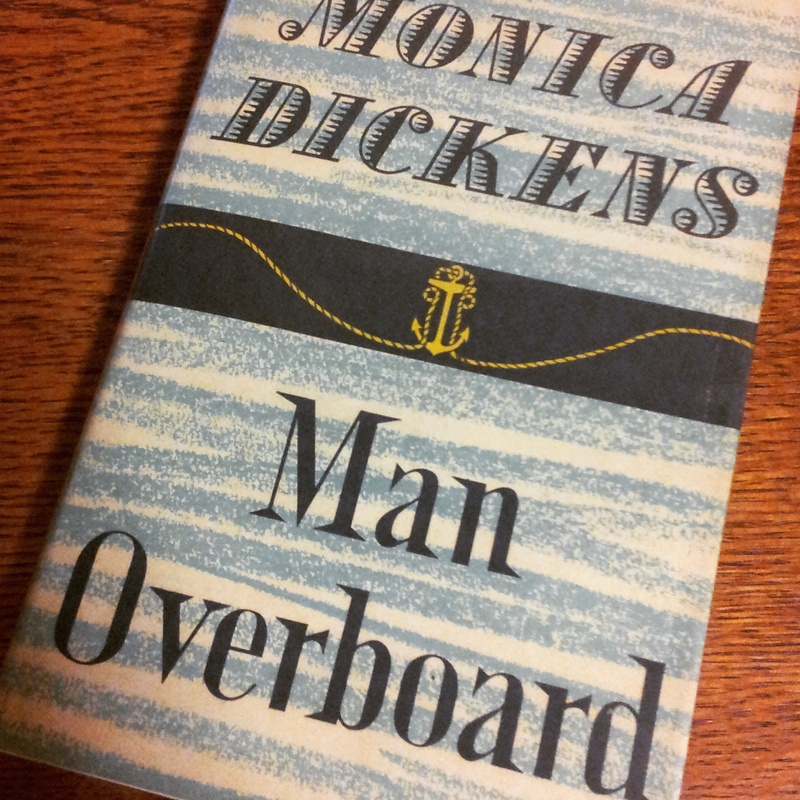 Your description of Man Overboard is making me want to give Dickens another try. Have you read Barbara Pym’s books? I think that was more of what I was expecting from Dickens. I’ve only read a few of Pym’s books. I was entertained but I wasn’t particularly moved either way. Dickens is less mannered than Pym; her characters feel much more contemporary and life-like. I don’t have anything to say about this book, but I wanted to tell you that I just read “Under Heaven” based on your recommendation. Wow! What a great read! I am SO pleased! I hope you go on to enjoy Guy Gavriel Kay’s other works – River of Stars, for starters, which is also based on Chinese history. I was really disappointed in The Happy Prisoner, but this one is going on my reading list. I’m intrigued by your mention of Nevil Shute. I’m glad copies of her books are so easy to find online, since our libraries don’t have them. If there’s one thing you can say for Dickens it is that her books are easy to track down: I’m not sure I’ve ever been to a used bookstore that wasn’t overrun with copies of her books (my local store has four shelves full, double-stacked). In the books of hers that I’ve enjoyed the most, Dickens’ straightforward style (and contrasting bluntness and sentimentality) has felt very Shute-like. Ah well.Thanks for your reviews and comments on O. DOUGLAS and D.E. Stevenson–these have been very helpful indeed. Very happy to have pointed you in their direction! on August 26, 2015 at 08:31 | Reply Karen K.
I hadn’t heard of this one but I did pick up a couple of her later works at the library sale, One of the Family and Last Year When I Was Young. I don’t know a thing about either of them so I hope they’re not just taking up space on the TBR shelves. I did like One Pair of Hands but I have a cooking background so I found it interesting. Like you, I don’t know much about either of those titles. Hope you enjoy them!